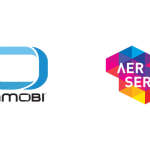 InMobi, the world’s largest independent mobile advertising platform, today announced its partnership with adsquare, the neutral mobile data exchange, to create a comprehensive suite of in-app audience targeting solutions for brand advertisers in Europe. The partnership gives marketers and brands access to InMobi’s global mobile consumer profiles now further enhanced by multiple strong data sources such as TomTom, Mastercard and Acxiom enabling more reach than ever before. 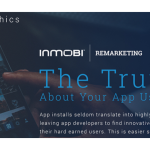 This partnership enables marketers to leverage a richer set of audience insights both on the InMobi network and the InMobi exchange at an unparalleled scale and granularity. Combining rich audience signals such as age, gender, household composition, location and other behavioural data across the two platforms will offer unique audience segments that allow brands to reach the right audience, maximising the value of our clients’ media buying investments. 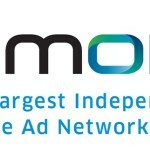 “InMobi’s privacy-protective, first-party data provides brands an invaluable understanding of their consumers’ behaviour” said Amine Melouk, VP & GM, Brand Advertising, Europe at InMobi. 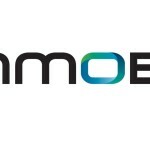 “The powerful blend of adsquare and InMobi user insights will take this intelligence to the next level, and continue to solve for our clients’ campaign goals. adsquare is the neutral mobile data exchange, bringing together advertisers and data providers in a fair, secure and privacy-friendly way. The platform has been built mobile-first, operates in real-time and enables advertisers to leverage data for panoramic audience targeting and precise moment marketing. Programmatic buyers can take control via the self-service Audience Management Platform which gives them full transparency in buying data, creating audiences and activating them for their DSP of choice. adsquare offers a broad portfolio of data from mobile, online and offline sources including data partners such as Acxiom, Mastercard or TomTom. In addition, advertisers can discover the marketplace for private deals with first-party data owners including app developers, publishers and other companies. adsquare works compliant with strict European privacy laws and has been awarded the ePrivacyseal for best practice data handling. Visit adsquare.com follow @adsquarecom or contact info@adsquare.com.